Scripps graduate student Dara Goldberg. Dara Goldberg is a fifth-year graduate student at Scripps Institution of Oceanography at the University of California San Diego. She grew up in Croton-on-Hudson, New York, a small village that’s a 45-minute train ride away from New York City. She received her undergraduate degree at Brown University in Rhode Island, where she studied geophysics and engineering. Goldberg is now studying geophysics in the lab of Yehuda Bock, a distinguished researcher at Scripps and director of the Scripps Orbit and Permanent Array Center. Goldberg’s research focus is earthquake and tsunami early warning using a combination of seismic and geodetic (GPS) instruments. 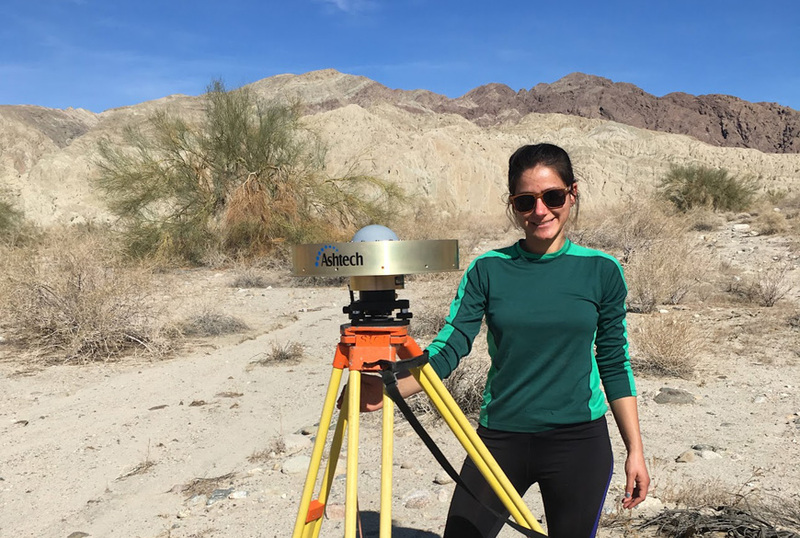 She studies seismically active regions around the world to develop algorithms to improve our understanding of earthquake risk, and hopefully help minimize injury and loss of life resulting from natural hazards. 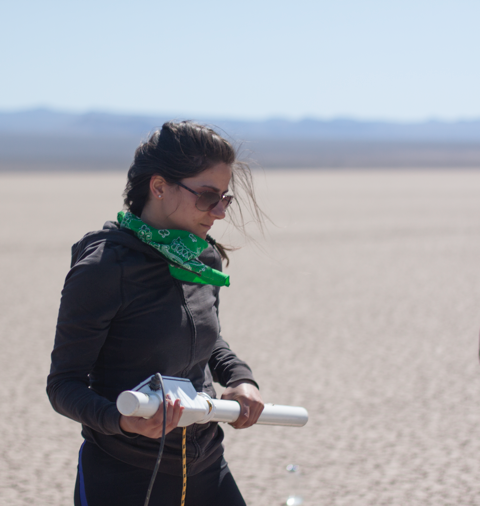 We talked to Goldberg to discuss what drew her to Scripps, what sparked her passion for geophysics, and more. Dara Goldberg: I chose Scripps because of the wide range of research expertise both within and beyond the geophysics curricular group. Between college and graduate school, I spent two years working in environmental consulting. I knew I would need a bit of review before jumping into research, and the geophysics program at Scripps is unique in that there is a full year devoted to coursework prior to transitioning to research. That feature was the main attraction for this program in particular. What are you researching at Scripps and how did you become interested in this field? DG: I study the properties of large earthquakes and develop tools to characterize earthquakes as quickly and reliably as possible after their initiation to support earthquake and tsunami early warning efforts. I use a combination of traditional seismic instruments with GPS measurements to identify the size and orientation of earthquakes, with the goal of mitigating seismic hazard and protecting lives and infrastructure during big seismic events. Around the time I took my first seismology course as an undergrad, my sister moved to San Francisco and began calling me with all of her earthquake-preparedness questions. Seeing the direct link between this field and the human impact grabbed my interest. What’s life like as a Scripps student? Describe a typical day in your life. DG: During my first year as a Scripps student, my typical day was almost entirely coursework, but since then, my day is comprised of almost entirely research. I spend most of my day writing code to analyze and visualize seismic and GPS data relating to earthquakes around the world. Occasionally, I get to do some fieldwork — usually GPS field campaigns or seismic engineering tests at the UC San Diego shake table, a huge outdoor earthquake simulator — but generally my work is completed in an office setting. DG: The most exciting aspect about my work is the human impact. We know that the western U.S. will experience a large earthquake—it’s just a matter of when—so the work that I’m doing has a clear and immediate connection to the wellbeing of my community. DG: My undergraduate advisors have been especially supportive of my research pursuits. They gave me countless opportunities to test out research in a variety of geoscience fields, and were instrumental in guiding me to Scripps to pursue my research goals. I have a wonderful thesis committee of talented professors and researchers who are always willing to help me when I’m stuck. DG: No one warned me about the amount of travel that being a graduate student entails! Sometimes it can be exhausting and difficult to maintain research productivity alongside travel obligations. Of course, that experience varies considerably from student to student, but if you want to collaborate with other researchers, learn from those outside of Scripps, or share your work, it can involve a lot of traveling. In addition to attending conferences and meetings around the U.S., my PhD experience has taken me to a handful of international conferences, workshops, and seminars. On average, I travel internationally once or twice a year, with domestic travel in between. For me, there has been no "typical" experience. My latest trip to Japan involved meetings in multiple cities and lasted almost a month. On the other hand, I traveled to Beijing to present my research and was back on a plane home in less than 72 hours! The opportunity for travel (especially international) has been an exciting and unexpected perk of my experience as a PhD student. DG: After Scripps, I plan to continue pursuing research, but I also hope to make more time for science communication, public outreach, and science policy. My research is important, but it doesn’t make an impact unless communicated effectively to the public and to policymakers. I hope to find an effective balance. You can find Dara on Twitter @dara_berg_ and the Scripps Orbit and Permanent Array Center @sio_sopac.